Tsagan Aman . Kalmykia. Russia. 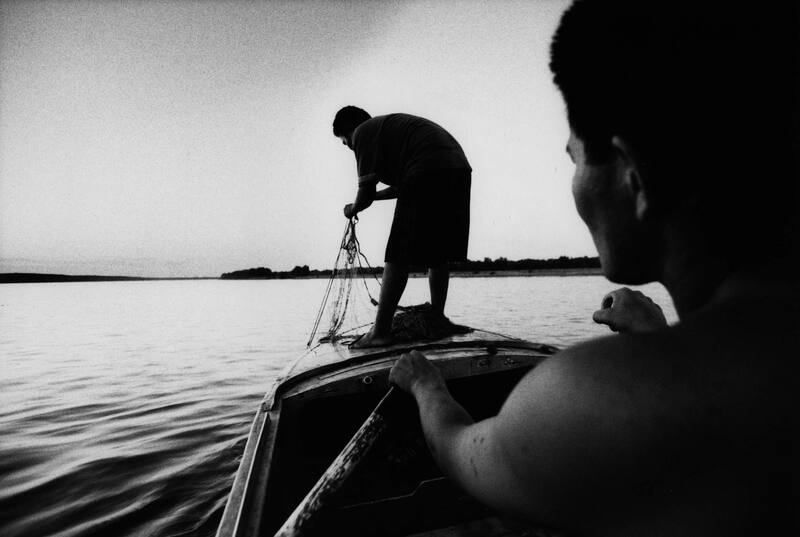 1999 Sturgeon poachers laying their nights at dusk on the Volga River.